0	0	God and Stephen Hawking	In Stock - Order before 4pm for same day dispatchWant it on Tuesday 23 April? God and Stephen Hawking by John C. Lennox was published by Lion Hudson in January 2011 and is our 11327th best seller. 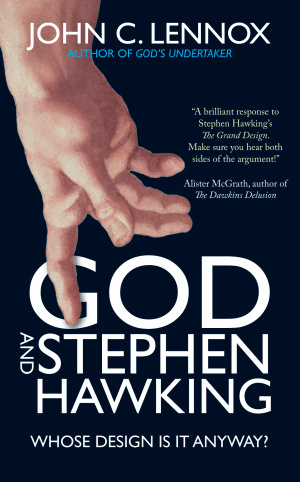 The ISBN for God and Stephen Hawking is 9780745955490. In God and Stephen Hawking John Lennox has written a book to cheer the hearts of all troubled by the seemingly unstoppable advance of the leading apostles of atheism: Richard Dawkins, Stephen Hawking et al. He highlights their main arguments and the thinking behind them before demonstrating brilliantly, succinctly and with rather more than a touch of humour, the inconsistencies and false logic upon which they are founded. The humour in Lennox’s approach is to be found in the number of instances in which he details with crushing reason how unscientific the scientists are to assume the existence of God in order to prove his non-existence! God and Stephen Hawking is not always an easy book to read, but the rewards it offers are more than worth the effort. It deserves a wide audience. Please buy it. Got a question? No problem! Just click here to ask us about God and Stephen Hawking.